People will always be hungry for good food. Even in hard economic times, the food industry is screaming for more professionals with proper hands-on experience or culinary training. Although being a chef requires a lot of responsibility, it can also be an extremely rewarding and fulfilling career. There are a number of different titles and chef positions, and each have their own place in the kitchen. Hotels usually hire executive chefs, who are essentially the “head chef” of the kitchen. Some companies hire a sous chef, who serves as the “right hand man” of the head or executive chef. Commis or assistant chefs work with a head chef and assist in food preparation and plate presentation. Bakers or pastry chefs, on the other hand, work specifically in the baked goods or dessert section of the kitchen. Besides learning how to cook and prepare nearly every type of food, chefs are also responsible for creating and designing new menu items. Chefs become experts at using various types of kitchen equipment, and must understand what a body needs in order to be energized. Chefs are also familiar with the different types of international cuisines and terminologies. There are also a lot of perks to being a chef depending on what type of business you work for. You may receive annual bonuses or free drinks and food at work. Other companies offer paid holiday, vacation, and sick leave, or flexible working schedules. I am 56 year of age and I have worked in the food service industry for most of my adult life. I have cooked in restaurants and institutions, and of course, at home. I have a passion for cooking and would like to broaden my knowledge, skill, and marketability. I want to have more control over the food that I cook professionally. With limited finances, what can I do to gain more culinary training and experience while I work to support myself? I am a new culinary student. If i want to critique a resturant, what are the questions i need to ask to achieve a good critique? what type of equiment does chefs need? what are rewards chefs get? I wanted to know if you are coming out of high school, and want to become a chief, but have no experience in the restaurant industry what type of training do I need to receive to get where I need to be. how does being a chef impact your life and what advantages are included in being a chef? will it be hard being a head chef? im wondering im 14 years old and i like being a chef or cook hard or easy i meaning i always wanted to be a chef and its been my dream. everyone in my family says im really good too. but i cook a little bit of food not a lot. i cook like pancakes and eggs and many more.i wanted to be a chef and cook idk yet but i am going to be a chef or cook. I’ve been a chef for 6 years, I am 23 now. I did an apprenticeship at a Marco Pierre white restaurant, then worked at the Dorchester in London with Alain ducasse for 3 months volunteering, after this I travelled for 4 years around the world cooking in Italy, greece, Spain, Portugal, Tenerife, Asia and then the Midlands. I am now Head Chef of a restaurant in Cheshire. You have to be willing to put all of your time, love and passion into it, you will be rewarded but you will only appreciate the reward if you really love it. I did a lot of training in pastry and it’s an actual science, but being able to bake bread and make cakes is a great feeling. If you want to get better at cooking its not essential to do culinary school-although you will become a much more disciplined chef, and it has many benefits but essentially practice makes perfect, by some cookbooks, the roux brothers if your into sweets, ottolenghi, oliver etc. Draw inspiration from other chefs. what if u want to be a top chef in a hotel what do i do???? i like this site it is very helpful. Hi, i have a question do any of you people know any negative things of being a chef I’m doing a career project and I need to know!? I am 18een year old and i am in 3rd year and my aim is become a executive chef . Give me idea (step wise) how can i reach on that lable ??? Hi. I’m an aspiring chef in the ProStart Program at my school. I liked this article a lot; it helped me find who I really am as a chef, a cook, or just a NERD who loves food. Thank you for helping me on my project, bruh. Hi my name is Malia I am writing an essay in school about what I want to be when I’m older. 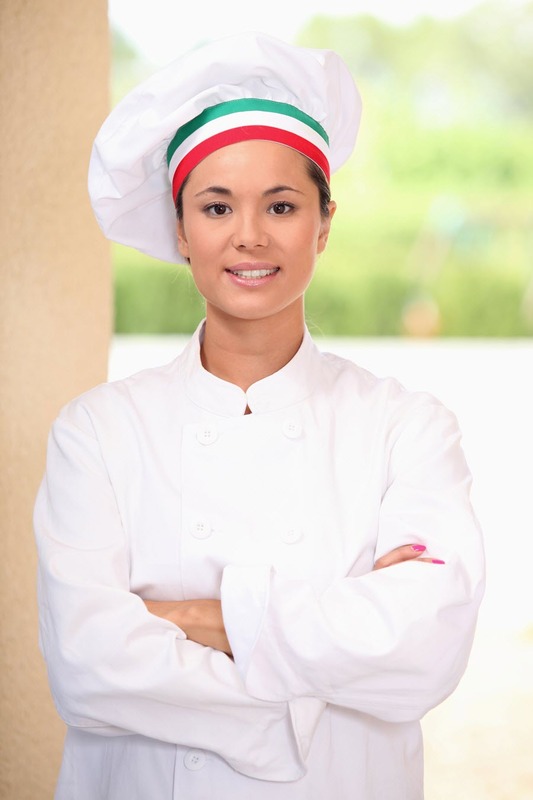 I chose a chef and I have to find out about the benefits of being a chef, like insurance. Is there any insurance that’s guarantied at a restaurant. Hi my name is Rycka I am writing an easy in schools about what I want to be when I´m older. I choose to be a chef and I have to find out about the benefits of being a chef, like insurance and etc. Is a chef have a benefit on becoming a chef? I hope you answer my question because it’s not actually a typical essay it is also a school thesis. Thank you! Hi i am a student in APEC I am senior highschool and we have a subject career research and we need to conduct a survey for the course that we’ve been choose and I choose to be a culinary chef that’s why I need to conduct a survey to person that is working as a culinary chef.The survey will be uploaded via google forms you can email me with the answer it would be a great help if you will answer the survey a week before submission rest assured your answers will be kept confidential and will be used for this project only. please let me know if you have any question about the survey. Hey I am Brooke and i am doing the same thing that Malia washburn is doing and I need help!!!!!!!!!! !